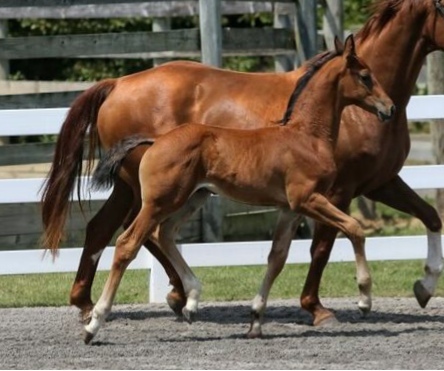 Holy cow, can this colt MOVE! 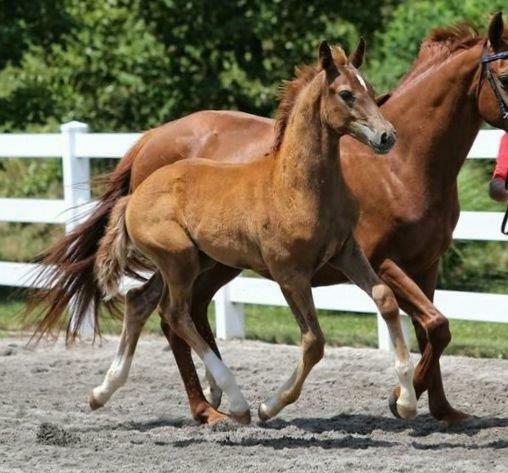 Every step lifts the front end up and the hindquarters down. He should be a collection machine when he grows up. 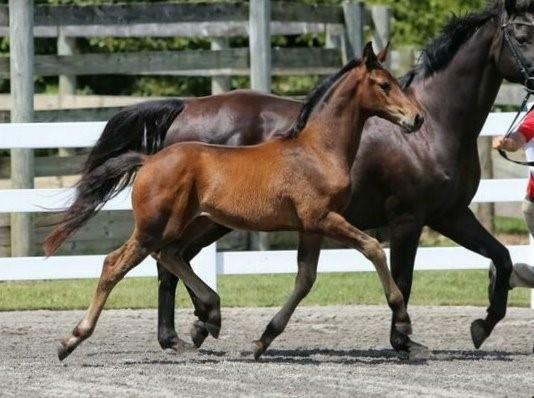 I sure do love the Dheputy foals. This is another good one, and sweet as can be. 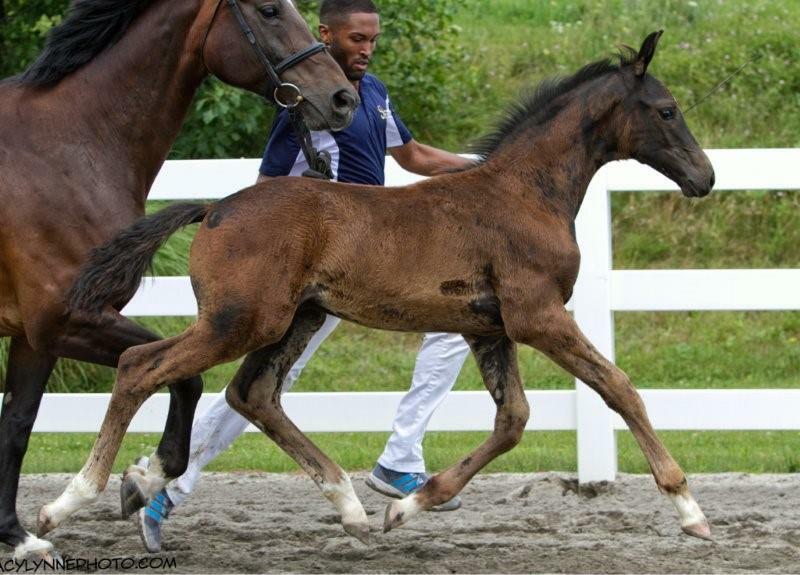 She will be very tall, and has illustrious relatives that suggest a super performance/breeding career for this lovely filly! 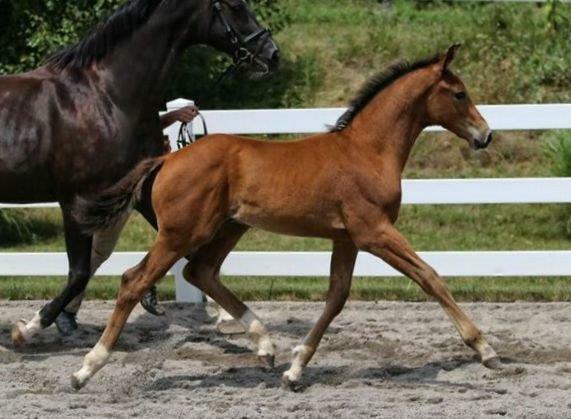 Ehlliot is a sweety with beautiful conformation and good movement. 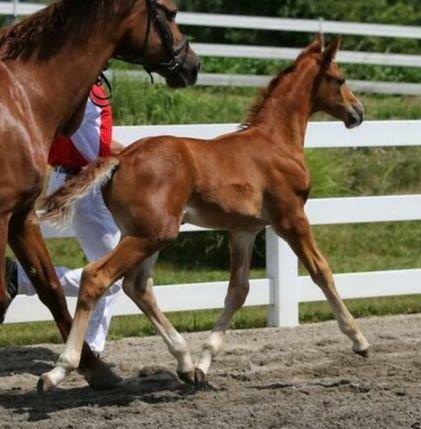 His pedigree suggests a performance career in dressage. EM Rhussia outdoes herself every time and this year's foal is no exception. Fhantom is really beautiful, he has correct conformation and he is a WOW mover. For sure, he is one of the best colts this year. 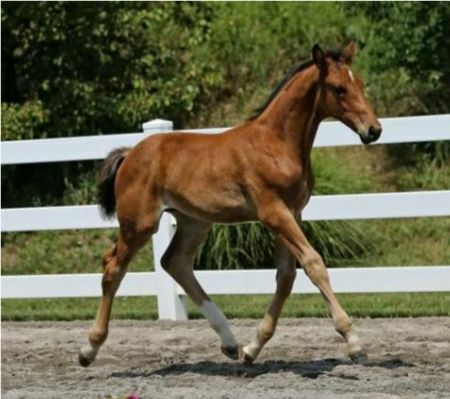 He will be tall and has a really free shoulder with just enough knee to hint at passage and piaffe in the future, plus an active hindquarter required for a collection sit-down. 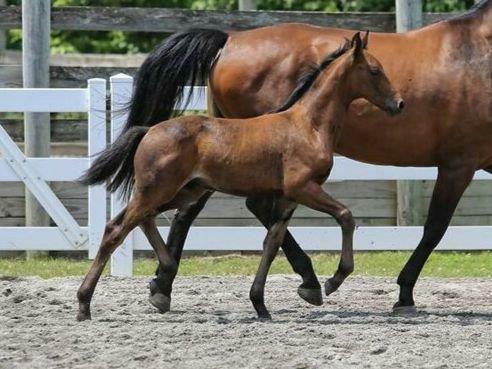 This colt is VERY tall and he has good sized bone. He is very good from behind with an uphill front end. 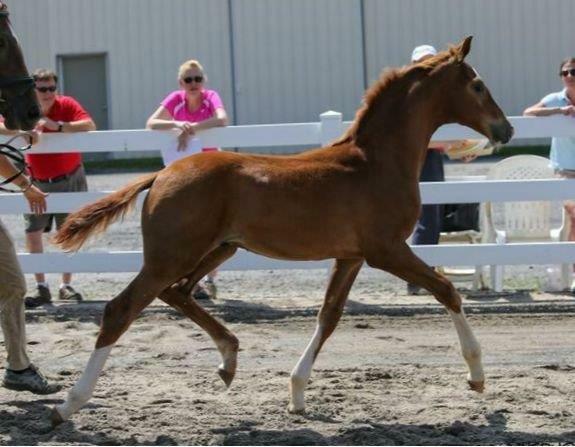 His sire was trained and shown successfully to Grand Prix dressage. 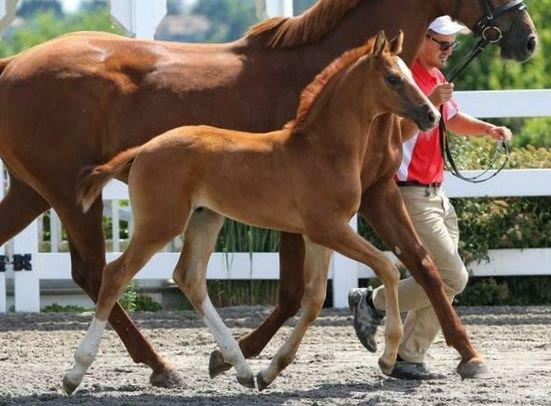 I wanted a foal by Vitalis after seeing him on TV at the Westphalian stallion licensing. Vinnie is all I could have hope for.